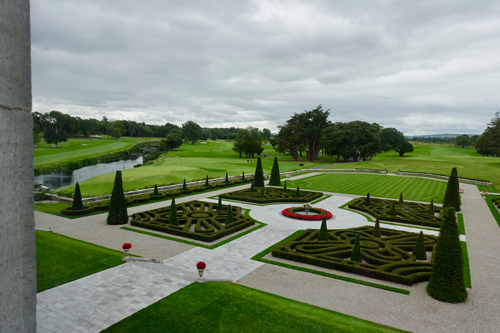 The visionary, Limerick-born businessman, J.P. McManus completed the purchase of the five-star Adare Manor property in December 2014. Just over one year later, it closed for a full twenty-one months to complete a major refurbishment and expansion, which included more than forty new bedrooms and an elegant Grand Ballroom. The new wing, constructed sympathetically with grey limestone, blends seamlessly with the stately older building. Originally a two-story manor house from the early 18th century, it was passed to the second Earl of Dunraven in 1832. He then set out rebuilding it in the Tudor-Revival style. 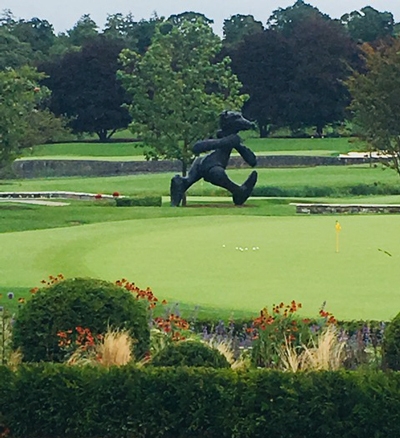 When it was purchased in 1987 by Americans Tom and Judy Kane, they restored and expanded it into a 62-bedroom five-star hotel and in 1995 added a highly-rated golf course, designed by the legendary Robert Trent Jones, Sr. To match the luxurious interior upgrades, world renown golf course architect, Tom Fazio, was hired to bring his expertise to reimagining the iconic layout. 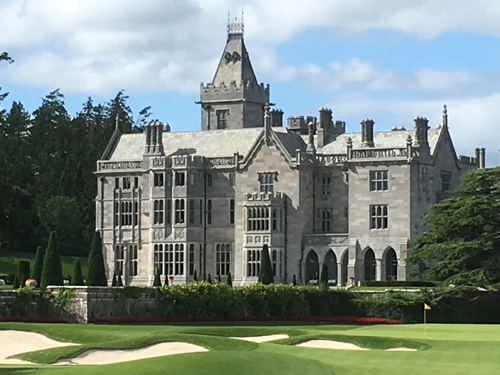 Before buying the resort, McManus had a long association with Adare Manor, where he hosted the famous Pro-Am golf tournament in 2005 and 2010, raising millions for charity. Golf superstars included Tiger Woods, Adam Scott, Fred Couples and Padraig Harrington, along with numerous celebrities like actors Michael Douglas and Hugh Grant. 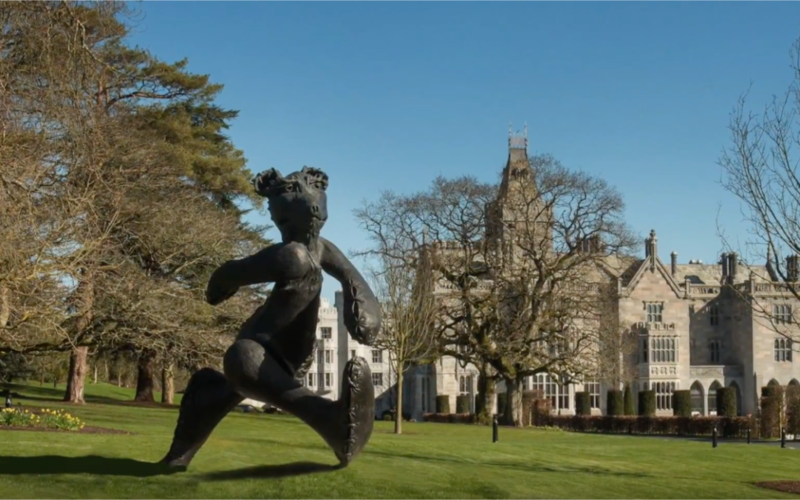 One can’t introduce the monumental “Bear of Adare” without mentioning the golf component of the resort, because the permanent home for this, the largest figurative bronze ever created in Ireland, is within view of the dining room of the golf clubhouse. “From childhood days our first memory is that of a bear. He personifies innocence, companionship and trust. He is a pure spirit and symbolises unworldliness. As adults many of us remember this childhood time with a reverence, as sadly this era must end. Life must take its course and is never stationary. There are many wondrous things in Ireland, starting with the Cliffs of Moher, close to where I spend my summers in County Clare, and I am now adding this magical bronze sculpture to my ever-growing list.